Since she turned Seniors in 2011, Lisa Verschueren has consistently been part of the Belgian team in major championships. Alongside Gaelle Mys and Laura Waem, Lisa is an undisputed lock for the team. In, she travelled to Berlin. That year, the European Championships are individual, a good opportunity for Lisa to gain some experience. At the 2011 World Championships, she contributes to the good team result that allows Belgium to qualify for the Test Event in London. In 2012, she finished 6th with her team at the European Championships in Brussels. 2nd of Belgian Championships in 2013, she reached the uneven bars final at the Challenger Cup in Doha. She finished the year 2013 with the World Championships in Antwerp where she placed 36th in the all-around qualifications. 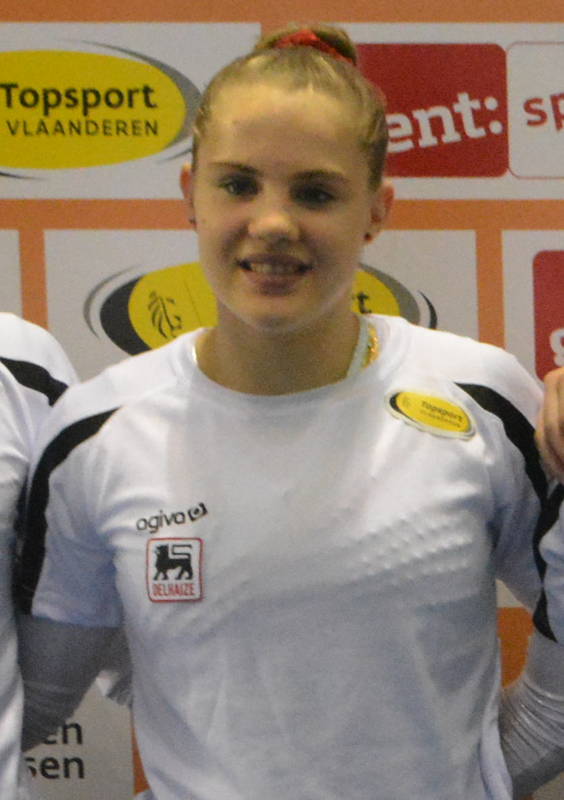 Belgian champion in 2014, she then competed at the European Championships in Sofia and World Championships in Nanning, where Belgium achieved its best result (11th). Again on the podium at the Belgian Championships in 2015 (3rd), she was 7th at the Flanders International Team Challenge and second with the team. In June, Lisa participated in the first ever European Games in Baku, where she qualified for the floor final and missed a medal (4th). With such good results, Lisa has a very good chance to represent Belgium at the World Championships in Glasgow, where Belgium will try to qualify for the Test Event in Rio.